Two weeks back on the farm and a lot accomplished. We freed the garlic and the strawberries from their mulch, allowing them to grow free of wet, heavy, weed-fighting, insulating straw. The raspberry patch and the perennial garden were weeded and covered. The wood chips for the garden were orange and rough, for the raspberries, smelling of Christmas. In the greenhouse, first round of tomatoes are seeded, most of the peppers and eggplants have been transplanted into bigger containers, and the onions, shallots, and leeks are outside on the cold frame. This coming week we’ll put in the first lettuce. In the field we’ve seeded a couple rounds of radish, spinach, arugula, and other greens, plus peas and fava beans, carrots and beets. The first beds have been cultivated with wheel hoes. The wood feels solid against my palms as I try to rediscover the rocking and walking that provides a steady groove. I need more time. I changed the 10 inch blade to a much smaller one, to cultivate greens on a new 5 row system. More crop per bed on a product in high demand. I have the opportunity to manage our restaurant accounts this season and have been delivering them potatoes, the only storage crop left after our winter CSA. Last week I brought them some onion tops, which we haircut from the 600+ seedlings per carry tray to tell the plants to fatten up, so they’ll be easier to transplant in the field. They have a wonderful, mild garlicky flavor, like garlic chives if you’ve had those. Great in Asian dishes or blended into a pesto. It’s the sad part of the season when you are putting in lots of work, but there is no food to eat. I can’t wait for the juicy bite of spring hakurei turnip, polished on the shirt. For now, surviving on our potatoes and frequenting the winter farmers market at the Armory in Somerville. Enterprise has an amazing setup of local winter greens, plus a cornucopia of vegetables from their relationships with organic farmers along the Eastern seaboard. The baby bellas and the fresh herbs are an amazing treat. Who is to know about the growing season, with all that lays beyond our control, but I’m certain the farm relationships will be fun-filled, informative, and lasting. The returning crew has already become good friends and we are anxious to meet the new apprentices come May. There is much for a second-year apprentice to learn, as I build my career in farming! Walking into Saus was like going to Roberta’s in Brooklyn or Myers & Change in the South End (Boston). There was an immediate realization of the artsy, upfront, yet relaxed vibe of comfortable fusion. X cuisine and American cuisine, fast with fresh, nostalgic yet progressive, global and local. Framed Tin Tin comics are art for one long wall of this rectangular restaurant, courtesy of Amazon.com. A local photographer displays his work on the wall opposite. Professionally hand drawn chalk board menus give confidence that the owners took serious consideration to their offerings. The late-night stop offers french fries and waffles. Thanks to the Belgian standard of multiple dipping sauces, Americans at Saus can happily choose from over 10 varieties, all made in-house. The menu is rounded out with cafe fair and draught beer. I’m feeling friendly this very early Saturday morning in very early March and one of the cooks is sporting a cubs hat. Porteshawver official policy to talk to cubbies. All of the staff was friendly and laid back. You could tell they took their jobs seriously and wanted to be there. One employee talks with me as she prepares pommes frites–a true test. Only the best can work efficiently while chatting. At this point a serious line has formed and I’m soon to step off my anthropology box to leave the cook staff to it. The young woman salts some just fried, frenched potatoes in a funnel-shaped pan and pours them into a white paper cone, stamped in blue with the Saus logo–a nice touch. She’s explaining the struggle between buying power and the desire to source food locally. 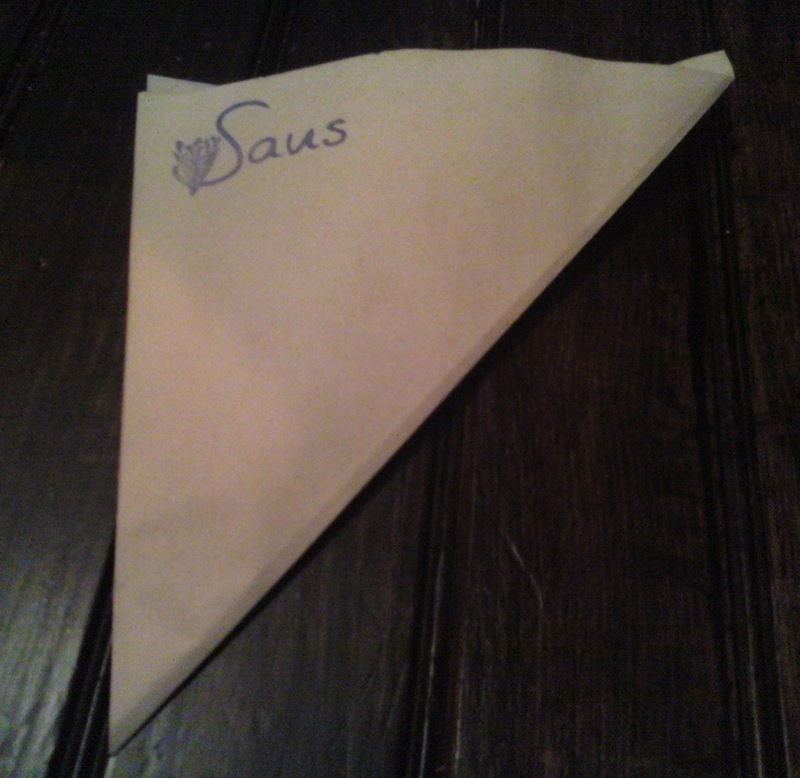 Somehow, Saus gives off the foodie imagery without approaching disingenuous, even without a local food purchasing plan. I think it’s the attention to detail in presentation, the highlighting of fresh ingredients, and the on-site preparation of everything. Employee honesty certainly helped. The woman, most likely a foodie herself, tilted her head apologetically as she told me they use a distributor. There are some local connections. Pastry chef from Sofra/Flour bakery provides the waffle recipe, for instance. The place was started by three food-daydreaming friends who found themselves jobless and ready to promote a culture (Belgian grub) they loved. I wrote about symbolic expression in my previous two posts. It’s the notion of using images, vocabulary, and histories to show support of a community, while not necessarily promoting it in practice. The sort of unapologetic symbolic expression practiced by Saus has the potential to be constructive. The restaurant offers process-focused food with good customer service. They have vegetables and herbs (parsley vinaigrette!) They promote some of the ideals of local food, but don’t serve it. Before people buy fresh and local they must think fresh and local. Places like Saus can help this consciousness shift. However, symbolic expression can only go so far. What are the real access barriers to local food for Saus? As they become more popular and ramp up the oft-cited excuse of buying power, will they have the know-how and infrastructure to redirect their purchasing? What local farms deliver to the North End? Let’s take another example of symbolic expression that is less constructive. Egg Cetera in Framingham is a breakfast joint with the slogan “A farm stand in a pan”. Rather than mobilizing the fresh aesthetic of local food like Saus, Egg Cetera re-appropriates foodie terms to get people in the room. With that slogan, though, how could I not give Egg Cetera a try. Idyllic photos of cows, farms, and chickens are mounted on the walls. They look like they came from a sample brochure made by a farm advertising firm. The food from Egg Cetera certainly didn’t come from those farms–it was sub-fresh, very (pre-?) chopped out-of-season vegetables, meats and cheeses sitting in a salad bar-like set up. You fill up little paper cups with what you want and the boys will fry you up an omelet. Checkered picnic print, stuffed animal chickens, and for-show teflon pans top it all off. The whole experience was tacky, and down right upsetting: after ordering I saw a teeny tiny sign that read “Cage Free Eggs $0.54 Extra”. The “Employees Only” plaques in the back pretend there is a farm behind the doors. I highly doubt even the buyer knows from which farm the eggs come. They too, use a distributor. Both these restaurants mobilize symbolic expression of foodiedom, but in very different ways and to different ends. Not to say that all distributors are created equal, but essentially, the food comes from the same place: the innumerable farms of the global economy. However, this stark contrast between the “party of the local community” vs. the “party of the global economy” doesn’t hold up to fusion, at least in the case of Saus. No doubt sharing the momentum of Carrotmob, Scoutmob is an advertising and mobile deal company focused on independent businesses. They’re posted in over 20 major U.S. cities, where they encourage folks to patron locally owned spots by administering sweet deals. Actually, I went to Saus because of one of them. My environmental economist friend excitedly took out her iPhone at mention of late night munchies. We spoke about this type of economic persuasion as a social movement. The advertising firm has the power to push people into stores that support their philosophies, business ethics, environmental standards, you name it. Indeed, participating in Scoutmob is symbolic expression in and of itself. There is a lot of symbolic expression in the food movement. You’ll hear the reasons for participating in your local food community over and over again. While I’m a little tired of hearing them, I do believe in the environmental benefits of local/organic agriculture, the social benefits of farmers markets and farm events, the nutritional value in fresh food, and dollar shifting. There are more benefits of sustainable agriculture I’m sure. However, too often these benefits are believed to be the driving force of sustainable agriculture, the reciprocal means of its survival. Certainly farmers market customers, foodie believers, and environmentalists help sustainable agriculture continue, but practical and economic concerns, the nuts and bolts of a food business, are often left out of the romantic picture of the local food movement. There are a number of reasons why folks don’t think about the nitty-gritty. One is the idea that the food movement isn’t about money. It’s about going beyond the bar code, making economic transactions the result of relationships, and turning away from the money-grubbing multi-national food corporations. This is all well and good, but local food needs money too. Some programs have stepped up to the plate to address this need, and the gap between consumer conscience and consumer pocketbooks. The campaign for 10% Shift showed folks that shifting 10% of spending to local/independent businesses would produce 48,000 jobs in New England. Slow Money, on the other hand, is an investment fund to start-up new food businesses, investing as if food, farms, and fertility matter. 10% Shift and Slow Money are taking a step forward and scaling up. The symbolic expression of foodiedom is all about being small. Thinking about production, marketing, and distribution, words created by our big ol’ capitalist system about big ol’ corporations, cuts into the image of farmers talking directly to consumers, artisanal foods, and community-based economics. Obviously scale and locality are important parts of this movement. Economy should be too, if we want it to survive. The food movement can be about changing economic relationships AND efficiency; I argue that it must merge those two ideas. Growing the movement is about finding ways to create change at the same time we are developing staying power in the economy. Staying power and growth in the economy comes at a cost to the ego of symbolic expression: we have to look to corporate capitalism for advice. We’ve got to scale up. We aren’t going to change the way food is grown and distributed in this country through farmers markets, individual by individual. We have to take bigger strides: institutions like schools and hospitals, restaurants, airports, businesses, and grocery stores. To expand to this level we need something big food is great at: efficient distribution channels and central aggregation facilities. These assets are developing on the local food scene with what are known as food hubs. The USDA defines a food hub as “a centrally located facility with a business management structure facilitating the aggregation, storage, processing, distribution, and/or marketing of locally/regionally produced food products.” There is a lot of room for growth in this industry and recent research (USDA, CIAS) has worked to spell out the benefits and challenges of food hubs and extended distribution networks. Certainly, with increased demand for local food beyond the individual consumer level, there is a need for larger scale growing and distribution (NPR). A bump up in scale could be great for farmers. With skilled, like-minded distributors some weight can be lifted from farmers, who are often solely responsible for marketing and distributing their food. Farmers will have more time to grow food (or, god forbid work less), and distributors can help grow the farm business. Farmers to You, what I’d call a “like-minded distributor” or a “good middleman” considers growing their Partner farm businesses a part of their mission. 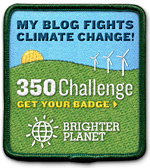 Another important aspect of their business model is working with consumers to rethink their connection with food, the Earth, and money (see their blog). Part of this is asking Families to make a commitment to the company and to the farmers, $30/week every week. Farmers to You distributes Vermont-grown food to Boston area people. Folks come to neighborhood driveways to pick up their food each week. 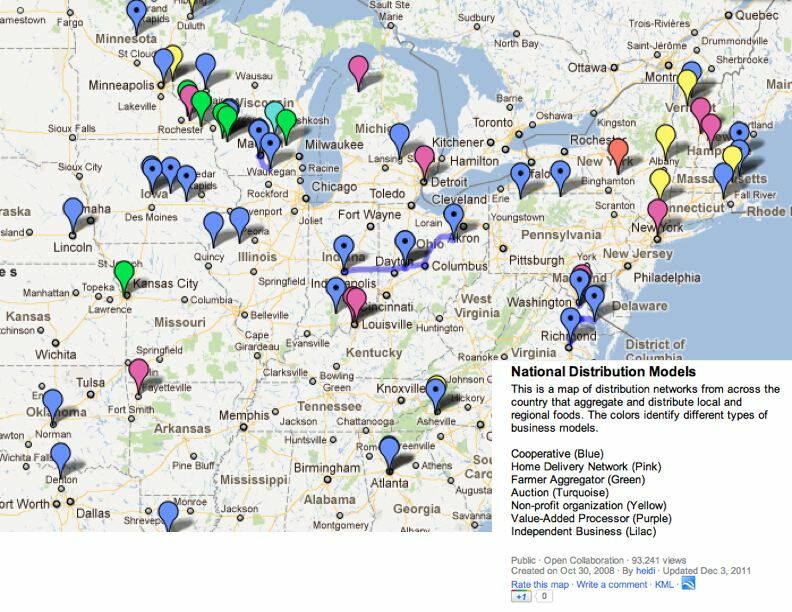 Although this is not institution level distribution, it is one scale step up from farmer markets. Farmers to You has a pretty good balance going between staying power and encouraging change. However, they are running into problems trying to support small, beginning farmers at the same time they are trying to provide consistency and fair prices to their Partner families. The company sure won’t be changing customers minds if they are unhappy or dropping out of the service, nor will any farmers be supported in that scenario. A balance is developing where Farmers to You offers business advice and counseling to farmers as they grow, giving them a market for their products as they reach the appropriate scale. Another distribution company on this scale is Graze, also based in Vermont. Their approach almost ensures more success in the marketplace, but the company shies away from being agents of social change. Graze delivers prepared foods, meat, cheese and value-added items to homes in suburban Boston and Connecticut. They’re marketing image is CONVENIENT, high-quality, local food. Since its start the company has responded to consumer demand and shifted its focus to prepared foods and dinner kits, a smart move when your customers can afford to live in Weston, Lincoln, Wellesley, and Concord. Unlike Farmers to You, Graze does not have a newsletter or blog and doesn’t require any commitment week to week. They aren’t trying to challenge notions of economy or encourage people to rethink their relationship with food. Instead, they are buying into the capitalist idea of convenience….and it’s working. They are filling a demand that Farmers to You perhaps couldn’t by supplying people with local food who don’t want to rethink economics, and why would they? Instead, Graze makes choosing local, sustainable foods easier by making the option ultra-convenient. If all the people who could afford it had convenient access to local food, farms would grow! Maybe even enough to reduce the price for less well-off folks. Even though Graze is taking a more capitalist-driven approach they still have community-oriented goals and generate some of the benefits I talked about above. They are supporting local farmers and making farmer information available to their customers, much more than a conventional distribution company would do. Some customers are changing their minds even without a push from the company. In a holiday card one customer thanked Graze for offering her busy family healthy food every day. “The Graze delivery has really changed the way we eat!” This is great news! Farmers are also seeing benefits from Graze’s business model. Although Monument Farms Diary has been selling milk in Vermont for 3 generations, head farmer Bob James had never thought his milk would leave the state. “It was so rewarding to hear Mr. James excitedly tell the farm crew that we [Graze] were the ones bringing their milk to Boston and Connecticut,” said Marcia Pomerance, Boston-area Market Director for Graze. I brought up Graze and Farmers to You because we need models going forward, especially as bigger distribution companies enter the market place. Establishing meaningful, lasting relationships becomes harder the more separation there is between farmer and consumer, between consumers, and the more farmers are involved with the distribution company. For instance, both Graze and Farmers to You are able to tell people exactly what farm their food is from, an important part of their models that could be lost as distribution scales up. Another important message from analyzing these two distribution companies is that we will likely need many different types of larger scale distributors: ones that are really working with restaurants and schools to rethink food and ones that cater to institutions that focus on convenience. Larger scale distribution companies are already developing: Food EX, Market Mobile, Blue Ridge Produce… I don’t know enough about these companies to discuss them here, but I would love to learn how they balance economy with social change. How can we iron out the inefficiencies of local agriculture while redefining the social meanings of efficiency, economy, and food? It is about time that I shared some of my thesis findings. 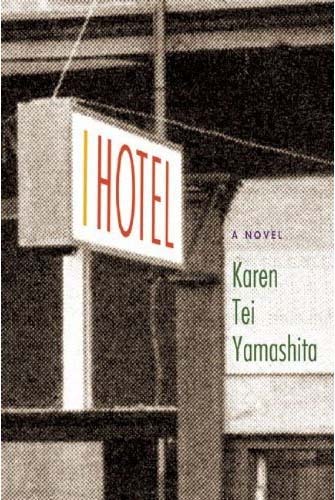 I started to think about it all again while reading Karen Tei Yamashita’s I Hotel. In one of 10 novelas about the Asian American movement in San Francisco in the late 60s and early 70s, Yamashita relays a conversation between two college-age activist women. These women are incredibly dedicated to changing the system by understanding revolutionary theory and practicing it through activism. Ria has been working with sweatshop seamstresses to start a collective company. In this scene, her friend Olivia bursts into the garment factory to feud over theory. There is no clear line! There never is and there can’t be. There is a continuum from purely capitalist, profit-driven, individualistic business to totally cooperative economics. Businesses and individuals are constantly sliding along this continuum, never stopping. You have to settle somewhere on it yourself, and continually question your opinions against the reality of your economic situation. It is much easier for Olivia to say that capitalism is bad than it is for Ria to create a socialist business in a capitalist country. At some point, idealism must be sacrificed for practicality. The hope is that not everything has to be sacrificed and that somehow a balance can be found so that folks can both make a living and change the world a little bit. My thesis explored how farms can survive in the economy while also working to change it. Reading about the food movement that took place during much of the same time that Yamashita writes about, it became clear that surviving in the economy has been a major struggle for revolutionaries and farmers. In Appetite for Change, Warren J. Belasco describes how the most radical foodies, the ones who moved to communes, realized they were dependent on the very model they tried to undermine. They could not produce everything they needed and had to turn to industrial food as a safety net. Just as for Ria, the revolutionary drive was not backed with an economic plan. In a way, economy is the perfect place to start for a revolution. First of all, on capitalism rest many things revolutionaries stand up against: inequality, imperialism, racism… Second of all, economy is what binds people together. We all depend on others for the material needs of our existence and happiness. This is the basis of all economic activity and the division of labor that has happened since the dawn of culture! Capitalism masks mutual need and today products are not produced because they satisfy human needs, but because they can make someone money. However, there are people in capitalism who do not want to take advantage of others to get rich. People like Ria and Olivia, and many people of the food movement. Foodies attach much more than a monetary value to food. The value is in the farmers, the local land, sustainable farming practices, sharing meals with friends, jump-starting farm businesses, feeding healthy food to children, regaining control over something dominated by big business, outdoor education, and the list goes on. Business models that put these types of values into the system can help change notions of capitalism, commodities, and relationships between people. These types of businesses can help build a new capitalism if we can begin to see capitalism as a tool to make change. It is silly to deny dependence on capitalism and that capitalism works as a business model. Even as revolutionaries try to undermine it, they are dependent on it. Even as Ria developed a cooperative, it was reliant on the capitalist model for its business. Instead of trying to uproot the system, we can work to create (and are creating), through successful, value-driven business, a revolutionary capitalism. Just as Ria and Olivia fight in I Hotel, entrepreneurs of this revolutionary capitalism need to debate about sliding too far to either side of the capitalist/cooperative continuum. More practically, for CSA farms and other forms of local food distribution this means adopting some qualities of the capitalist market to keep customers happy, whether it be choice, convenience, or economies of scale. In addition though, revolutionary food businesses must work to change consumer notions of what food, farming, and economy are. CSA works to do this with the newsletter, sharing with folks the challenges of farming. A new distribution company Farmers to You does this through customer blogging about the transformative effect of their delicious food and model. The ways to approach this are endless, and I know the passionate, and smart foodie entrepreneurs will come up with things we cannot imagine. Importantly, the movement cannot just focus on the success of new local food businesses in the market, though that is incredibly important. It also cannot just be about revolutionary protest or symbolic expression of foodiedom, though those are important too. 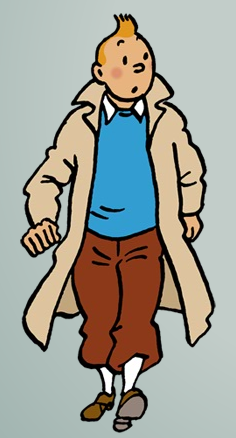 Crazy as it is, we need capitalism in a Mao jacket. Filed in Economics, Who Supports CSA? Some things I’ve learned this season I’ve learned from the process of farming. They were not taught to me formally, but I have come to know and inhabit them. I learned an economy of movement from my body, as it learned to work efficiently, divide labor amongst other bodies, and as it committed tasks to memory. Economic movement shows in farmers who are never standing around yet are always of use. Efficient body knowledge became ingrained throughout the season as we learned to double task in the wash station, separate into pullers (who yank storage roots up from the ground) and cutters (who cut off the tops for storage), and dig potatoes. This body economy worked its way into my mode of thought. What is the most efficient way to finish the crop’s harvest? To help others finish their beet bands or pick up the beets already bunched? It depends on the number of bands on everyone’s wrists, the number of bunches on the ground, how many other people have finished their bands as well, what crop is next, and where the other crew members are. This type of thinking came up in conversation with fellow apprentices as we discussed the best ways to get the work done, questioning and also praising our farm manager. I think about it in my every day life too — how to efficiently clean a room, prepare for a party, or can food. The other day I had to make an emergency spinach delivery to Henrietta’s Table in Harvard Sq. I had my boyfriend along. There were two totes of spinach behind each of us and one in the trunk. Without consciously thinking about it, I had already reasoned the best way to grab the totes. Open the trunk. Grab the two totes from the back seat and stack them on the one in the trunk. No big deal. But when Seth got out of the car he kind of stood around…came back to the trunk…got a little confused that I hadn’t grabbed the totes from the backseat, and walked over to my side of the car. Seth probably wasted very little time not executing my plan on the passenger side, but the point is that my body (and mind) have been conditioned to behave this way while his haven’t been farming for a season. This type of conditioning is very important in farming, especially as a manager. Matt thinks seriously about how many labor hours each job will take and splits us up accordingly, even considering the personality and body advantages of the crew members. The apprentices have caught on a little. We know what a one-woman job looks like, and how to divide the labor among more people right at the point where there is room. Here’s a funny example. Three of us were washing vegetables. Seth and I were spraying roots and Abby was dunking greens. Once the greens were clean Abby had nothing to do, really. She laughed as she turned diakon radishes for me, so as not to be standing around. And it went faster! Ideally, it would have just been two people in the wash station so no one had to think too hard about how to be useful. Everyone has an economy of movement in their bodies. It shows in walking, crossing the street, folding laundry, resting…in everything. The efficiency of our organs interacting, our fingers typing, of preparing food….are all cultivatable though hardly thought about.